Do not leave me unattended in a bookstore with a credit card. I repeat: do not leave me unattended in a bookstore with a credit card. I often just read on my iPad, so it's rare that I go to a bookstore anymore and buy actual books. When I do, though, it seems I get a little bit out of control. 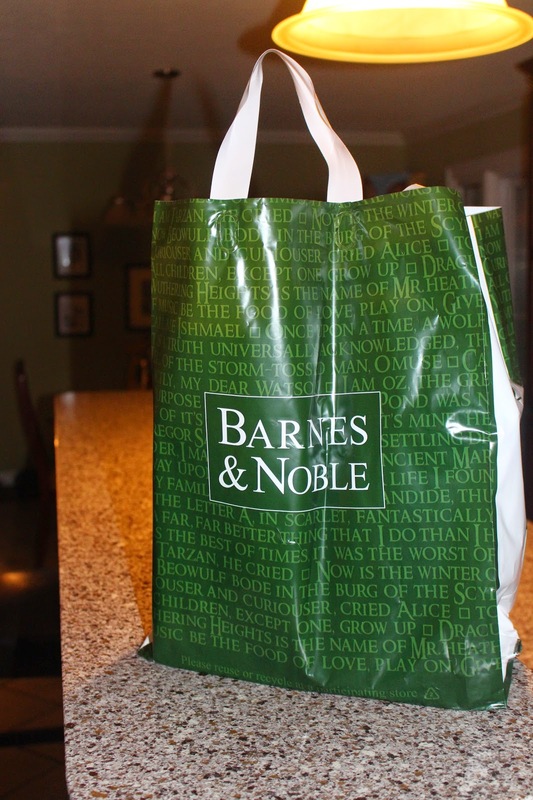 You know it's a bad sign when you leave a bookstore with a shopping bag. Look at all of these lovelies that I snagged for a total of $34! Woot - woot! Between the clearance rack and it being a special educator's discount weekend, I really feel like I got my money's worth on this trip to B & N.
Most of these books were items I'd never heard of, but I do like a lot of these authors. 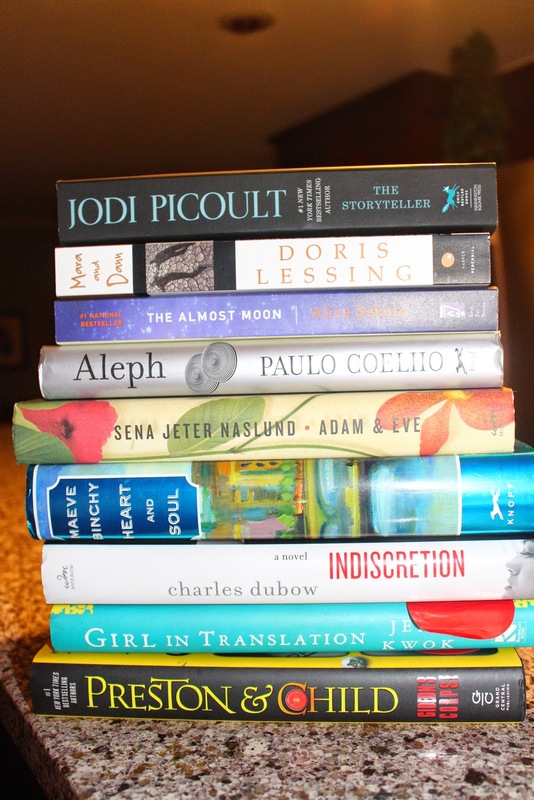 I've read Jodi Picoult, Alice Sebold, Paul Coelho, Maeve Binchy, and Preston & Child before and really enjoyed them. I've also read some short stories by Doris Lessing. The other handful of books I chose just sounded very interesting, so I decided to risk it. Great price!! Shopping for books is my favorite king of shopping; I can spend hours in a good bookstore! Great haul! Looking forward to some reviews!